I am pretty certain that every adult human being has, at one time or another, wondered what is up with ear wax, also called cerumen. We all produce it. It can be excessive, irritating, interesting or even deafening. Wax production and make up changes depending on age as well as ones nationality. Today I would like to take a minute to talk about ear wax. The ear canal is made up of two sections, one that is cartilage and one that is bone. The bony portion of the ear canal is deeper than the cartilaginous portion which you can feel with your finger. There are specialized glands and cells within the skin of the cartilage ear canal that makes the cerumen. The purpose of wax is both one of protection and lubrication. The wax has a certain acidity creating an inhospitable environment for microbes including bacteria. It is also a barrier against pooling water which, if left in the ear canal, leads to infection. A nice layer of cerumen defines great ear canal health. The wax created in the ear canal skin moves from the inside toward the outside. If you could tattoo a small piece of wax in the ear canal and watch it over time, you would see it move toward you over days. This movement is facilitated by chewing or moving the jaw and eventually it expels debris that may be caught in the wax of the inner ear canal. The texture of wax might be dry or wet. The colors range from black to cream color and all of these variations may be normal. So what do we do when we feel like we have too much cerumen? An excess of cerumen can cause hearing loss, lead to itching and irritation of the ear canal skin, or clog up hearing aids or head phones. For those individuals who require hearing aids for communication, ear wax can be a devastating problem. Excess wax needs to be addressed and there are various ways to do so. The most common way may be the most dangerous and least effective. Q-tips function to “clean” the ear canal despite my best efforts to stop this practice. In fact, all the q-tip does is push the wax that is trying to come out, deeper into the ear canal. It does not clean anything. Water flushes can be very effective when done correctly. The idea is to create a stream of water that bypasses the wax, hits the ear drum and then turns around and pushes the impacted cerumen back out. In a patient with normal ear drums, and assistance from another individual, this can work. However too much pressure or abnormally high or low water temperature complicates this technique. Medications called cerumenolytics are also commonly used. These are generally found in most pharmacies and are dropped into the ear canal with the hopes that the cerumen will be broken up and find its way out of the ear canal. Hydrogen peroxide, Cerumenex, Cerumol are among many options. Evidence does not support this technique as an effective way to remove cerumen, but likely does no harm if used correctly. Studies of ear candling demonstrate this to be an ineffective and dangerous technique. The residue on the bottom of the hollow tube/candle is actually wax from the candle and does not have any demonstrable cerumen. The color and composition mimics normal cerumen providing a placebo effect for users. This candle wax, if left hot in the ear canal, may burn the skin or damage the ear drum. Consequently it is not recommended. Finally, the safest way to remove cerumen is to do so under the care of a professional using a microscope and micro instruments specifically designed for wax removal. 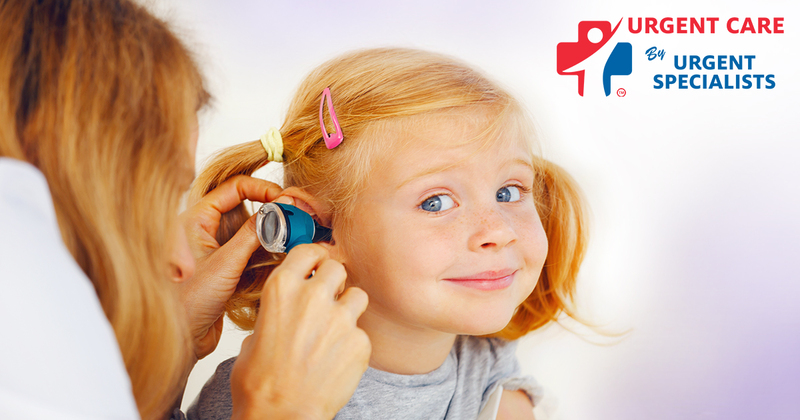 This way, there is no collateral damage to the ear drum or ear canal skin. Using a microscope is the most effective and safest way for cerumen removal. In conclusion, I recommend learning to love your cerumen. It is unique to you and protects your ear canal and ear. If, however, you feel like that fullness or clogging noted when there is an obstruction, please come in to Urgent Specialist and a nurse trained by an Ear, Nose and Throat Physician Specialist will work with you to resolve the issue.